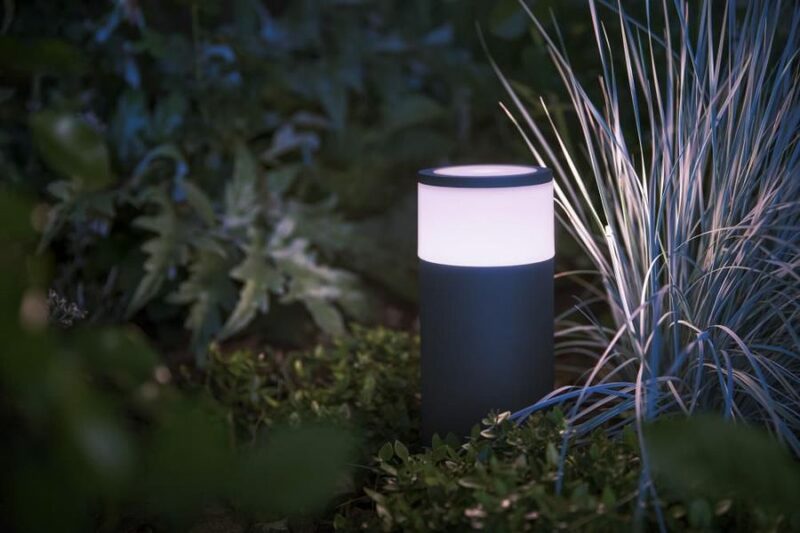 Summary: A stylish bollard light perfect for your patio or driveway, a great addition to the Hue eco system. If there was a drawback it is the price, but if you already have some Hue bulbs you will know its not the cheapest. With the release of Philips Hue outdoor lights you can now brighten up your garden and patio with color from stylish lights. The calla is already looking to be a popular light, ideal for walkways and pathways making it ideal for front gardens and drives, or around steps. We take a look at the latest Philips Hue outdoor lights perfect for lighting up pathways and patios in your garden. 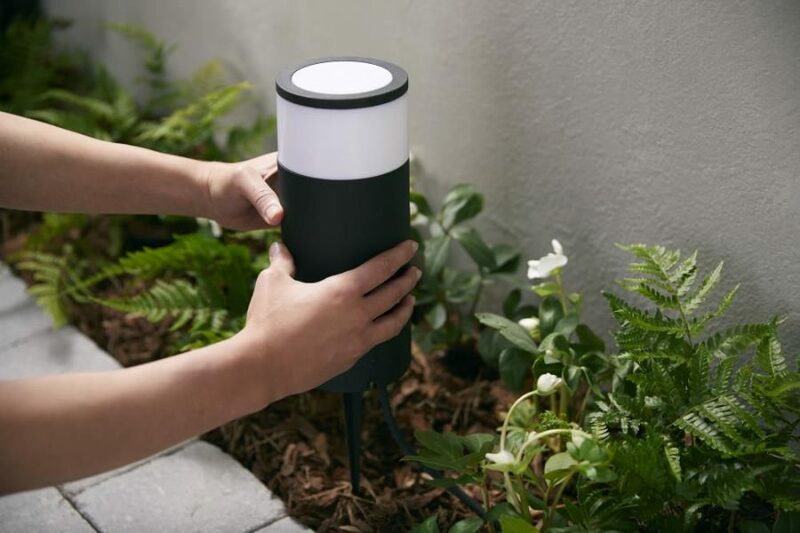 Just like other lights and bulbs from Philips Hue, the Calla bollard connects wirelessly to your Hue Bridge, meaning the outdoor lights are as simple to control as it is with any indoor Hue bulbs and lights you may have. 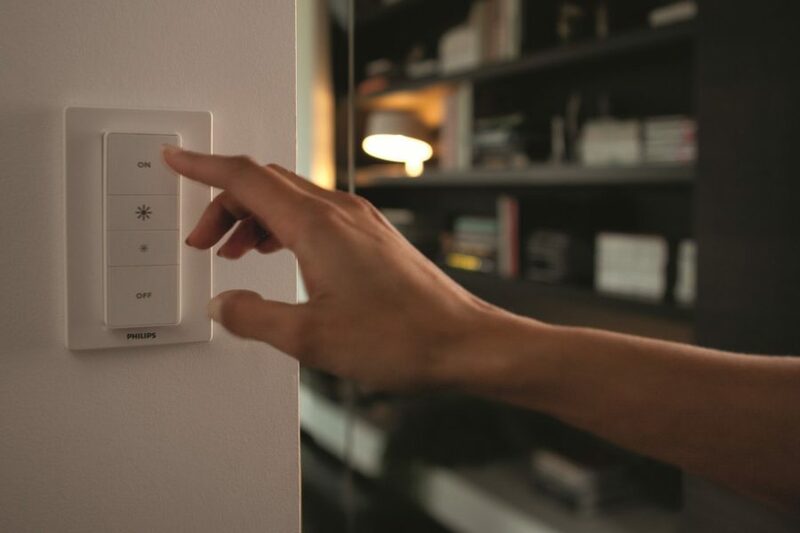 Just like other bulbs you can turn your outdoor lights on and off using Siri, Alexa or Google Home, as well as setting up timers to turn them on and off, or geo to turn them on when you get close to home and about to pull onto the drive. The unit itself is made from a black aluminium with a section around the top, and the top itself which is frosted where the light shines through. The design is slightly let down with small screws that are used to the base to hold the bottom on, this could have been screwed on to remove the need for screws which ruins the clean lines slightly. The light is 10.4cm wide and a height of 25.2cm when in the ground excluding the stake. The LED bulbs are built into the light however they have a range of 16 million colors and all shades of white allowing you to set them to whatever you wish. The lights can be extended, so there is no need to plug each light into the mains, they can be connected to each other in a daisy chain fashion reducing the amount of cables needed, and making it easier to set up and run along your pathways. 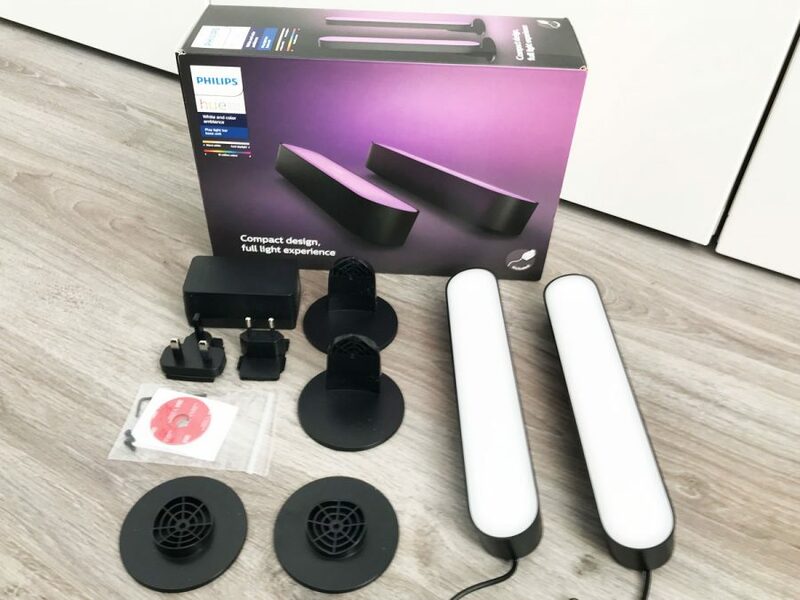 Instead of buying a light with the power socket too, you can just buy the Philips Hue Outdoor Calla Pedestal Expansion set. The Hue Calla light comes with a 2 year warranty and designed for lifetime with up to 25,000 hours use. 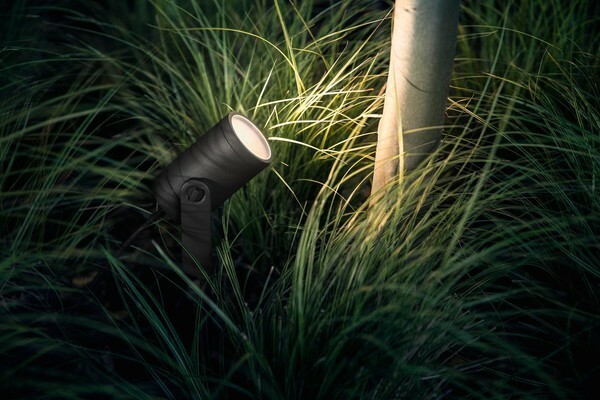 Just like other Hue products this is easy to set up, the bollard light has a spike in the bottom so you can push it into the ground so it is firmly held in place, stopping it from being knocked or blown over. The cables attach to the light via a screw fitment that is simple, works well and prevent water effecting it. If you wish to install on your path then the light can be screwed down into the concrete, the base section comes off which you can then fix to the ground, once attached the main light can be attached to this. 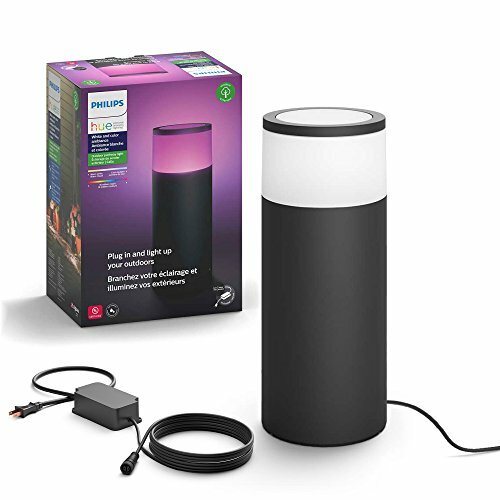 The light is run off a mains plug and comes with the power supply and transformer too, once all connected you are ready to add it to your set up just like any other hue Bulb. Loading up your Hue app on your phone or tablet, add a new bulb, it will search and bring up your new Calla light, then just add as normal. If it is struggling to find it, which maybe the case as it is outdoors, you may need to bring it closer to the house or wireless network, once added it should work better when outside. 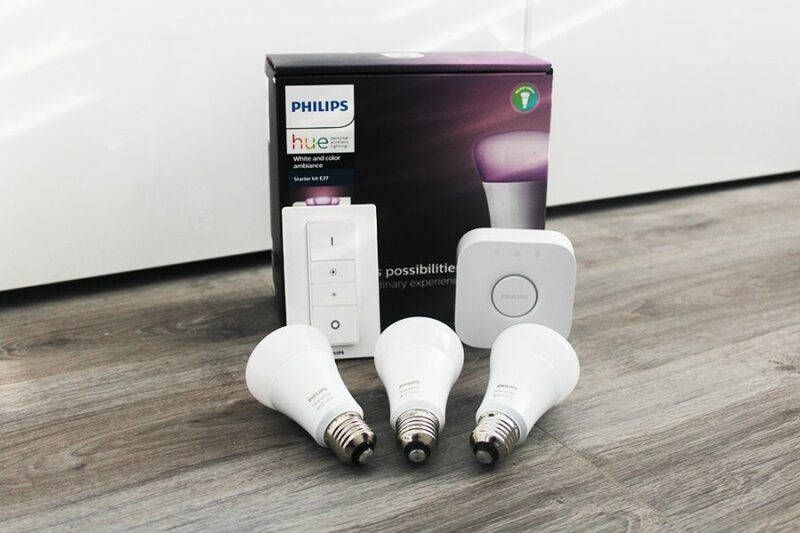 With regards to this Philips says ‘for best connectivity your first Philips Hue outdoor light should be located within 30 ft from the hub or the closest hue light in your house. You can extend the distance up tp 60ft from one hue outdoor light to the next one. Metal and certain other materials can block the signal’. 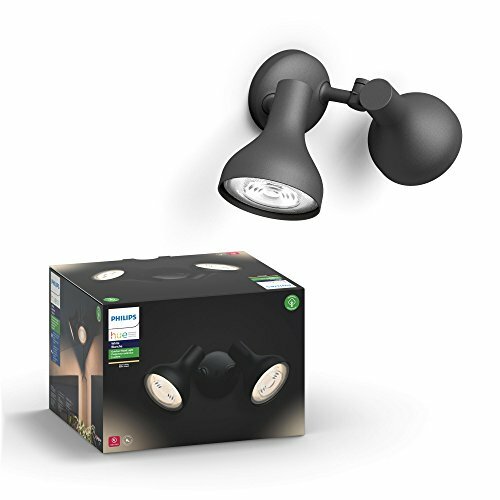 The Philips Hue Ludere White Outdoor Security Light is a fitting designed perfectly for the above bulbs, so you get the two white floodlight bulbs, the same as above with a stylish black floodlight fitting designed for them that can be wall mounted. 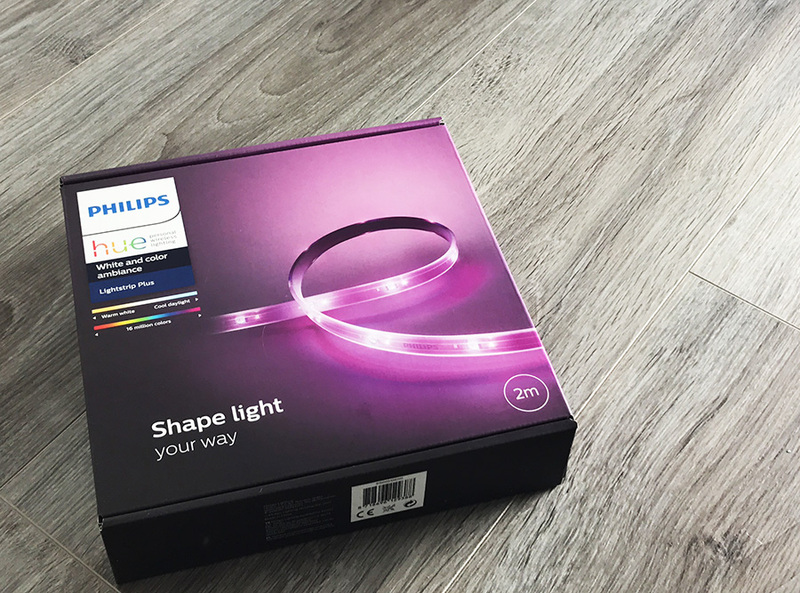 With this item in the box you will find the Philips Hue Calla light, spike for the base, power supply and cable for it, and instructions. Size: 104mm diameter x 252 mm in height. The light is well built, well designed and does look stylish, it works seamlessly with the Hue echo system and is simple to add and use. The light is great, bright and sleek, however the downside is the price. Hue products are not cheap by any means, however you are buying a stylish well designed light by Philips that also has a Hue bulb in. I sure wish these were available. It’s on the website and says available but it’s not available anywhere since summer. I purchased the these plus the outdoor spots and have my whole house but I need 3 more to make my house match on the right side. I hope someone at Philips actually reads this.